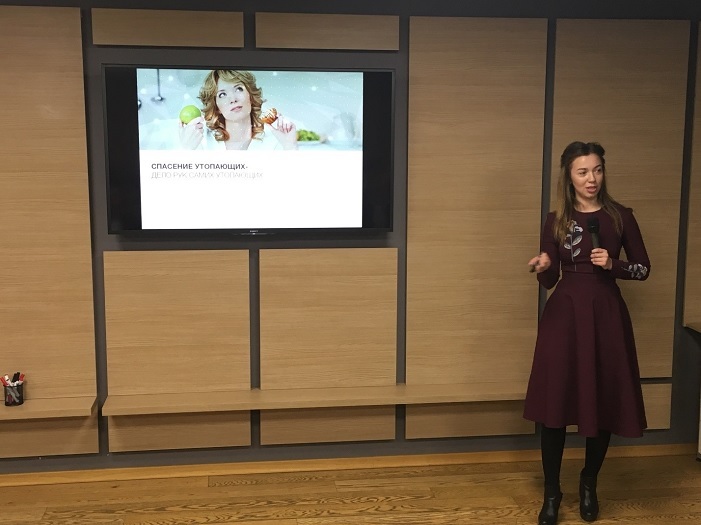 How do successful Ukrainian projects in the field of Foodtech and Retail look like? How do the chain stores, restaurants, food delivery services compete in the struggle for the buyer, using new technologies. What are the main trends and prospects for the development of new IT projects in this area? 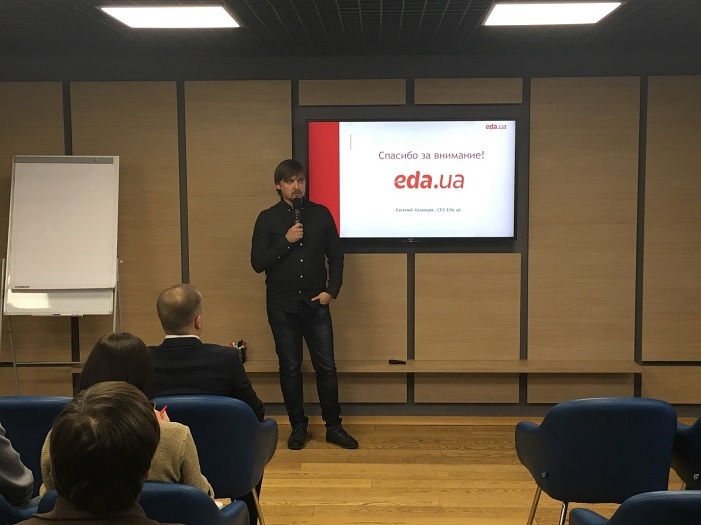 These was discussed by the participants of the second meeting from the cycle "Startup-Nation: trends and themes for IT Projects in Ukraine and the World", organized by an investment company Chernovetskyi Investment Group (CIG). 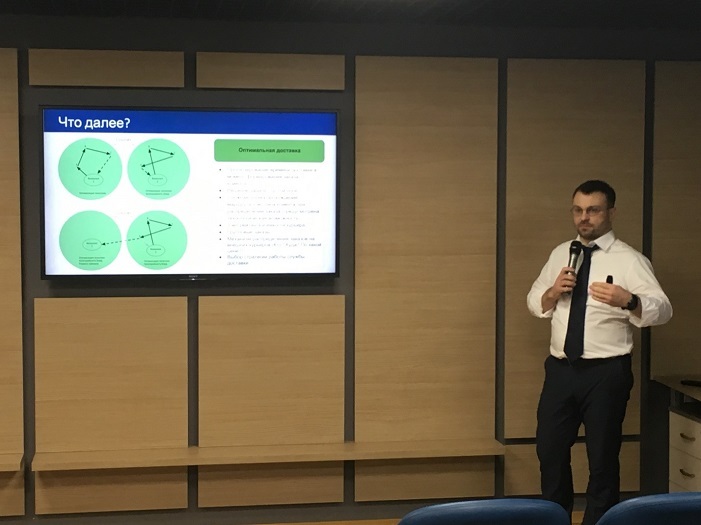 "We continue the cycle of events" Startup-Nation: trends and themes for IT projects in Ukraine and the World. "The project goal is to show that Ukraine is rich in talents, and there are promising projects that can compete with startups of world class. We started the cycle a month ago with the theme of IT in the field of healthcare and eHealth. Today we will try to disclose the secrets of how successful Foodtech & Retail projects develop in Ukraine, let's talk about new trends and tendencies. According to our analysts estimation, the market for the delivery of ready-made restaurant meals in Europe in 2016 was $ 7 billion. This is a huge market that is constantly growing. Ukraine is still only at the beginning of this path. But the country has great prospects. We hope that in the nearest future Ukraine will set the trends, at least in Central and Eastern Europe. Today we will listen to the projects representatives who managed to launch and successfully develop Foodtech projects. We will also talk about offline products, retail and restaurant chains that keep up with global trends and actively go online, compete or collaborate with Foodtech projects. Also, we will talk about tools that allow social networks and retailers to increase sales. 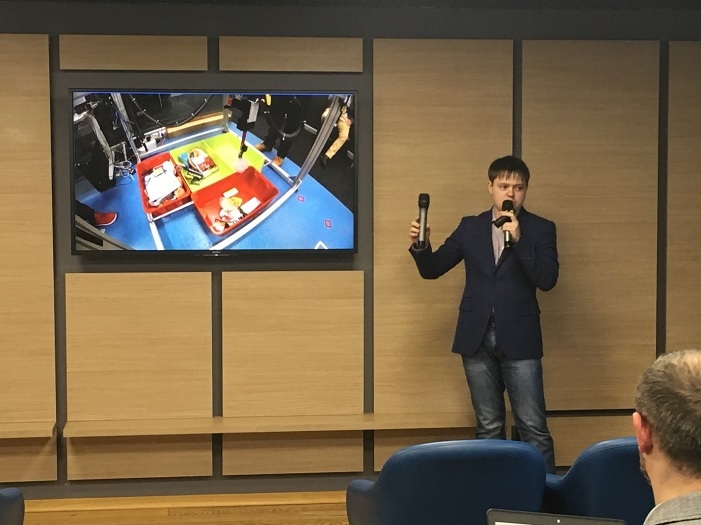 There are new solutions that, for example, give an opportunity to see the dish that you order on your desk using VR-technology. What will be relevant in this market tomorrow? Here is what our meeting is about ". "Today I am going to tell you about the food delivery market and its mainstream. I will start with statistics. On the average, a person who orders food delivery does this 2-3 times more often than a person visiting restaurants. Why is this happening? Because visiting a restaurant for a person is at the moment an occasion, and food delivery is already an ordinary thing. The person perceives this almost the same way as cooking in the kitchen. In general, the difference between buying ready-made meals in a supermarket and ordering food from a restaurant becomes insignificant. The market volume for the delivery of ready-made meals in Ukraine is $ 200 million per year, while the e-commerce market in 2016 was $ 1.5 billion. According to various estimates, 21.6 million people in Ukraine use the Internet. Of these up to 20% began to order the delivery of ready-made meals. At the same time, up to 20% of the total sales of restaurants are accounted for online. In the next 2-3 years, this figure can grow to 50%. 1. Staff. Whether the visitor will return to the restaurant depends on how staff works. The owner can not always control the quality of how waiters carry out their duties. And after all 35% of successful operation of restaurant for today depends on work of the staff. 2. Expensive rental. In order to be successful in the offline business, you need to rent rooms either in the city center or in the center of the dormitory suburb. The cost of rent can reach to 100 000 hryvnias per month and higher. It is possible that in case of success of the restaurant, the landlord can increase the rental rate. 3. Analytics. Most commonly the restaurateur does not know the preferences of his visitors. For example, what exactly do they order, at what time and for how much money. When going online, the restaurant gets rid of all these problems. First of all, less qualified staff will be suitable for processing online orders. The statistics says that if 35% of sales depend on the waiter in the hall, only 8% depends on the staff, who works in the online delivery market. Staff in this case is a courier and a call center employee, who accompanies orders. As of today in the global market for the delivery of ready-made meals everything is changing. Automatisation becomes more profound, and the human factor is increasingly reduced to zero. The call center operator no longer participates in the order tracking chain. And delivery is carried out either by drones or taxi drivers. The users who make the orders online become fully identifiable. By and large, you know all about them. What does the restaurant require to go online? The first is to make a website with adaptive design for any devices. Today up to 60% of users are making orders using smartphones and tablets. You can also develop a mobile application. This is a difficult subject, but it gives about 40-50% of orders. The second is to organize a call center and dial operators. Next is to hire a courier service. A prerequisite is to entice users to the website, drawing up a marketing plan. And then there goes the analysis. For the restaurant this whole set of measures can become an unbearable burden. But you can use the service-aggregator, which will perform the whole complex of tasks to get online ". "Today I am going to tell not only about foodtech. I will share my thoughts on how artificial intelligence will soon change retail trade. Every 2-3 years there comes up some very fashionable term, which everyone begins to apply. First they say, like, "that's when we will have machine learning, then we will change business models and then everything will change." Next "we had big data, we've learned how to collect and have collected their terabytes”. Now "we have data, but it must be processed by the data scientist, who will collect all the big data and process it with machine learning and finally we will get some result”. Then there is data scientist, and big data, and machine learning, but there is no result. A then it starts: "And how about we add deeplearning and neural networks to this all”. And it turns out that this term is not enough, and here comes the most recent, a very fashionable term - artificial intelligence or AI. A very high-level term, which everyone is talking about. But it is fundamentally different from the previous ones. In 2009 there was such a competition, it was called ImageNet. A large database of images was collected and the computer was given a task to recognize the depiction in the picture. And it was determined how well the computer managed to guess. A man is able to correctly recognize the image in 98.5% of cases. At the time of the competition the computers would guess at 60%. Later in 2010-11 the technology of deeplearning and neural networks was applied. And this figure bumped to 85%. Nobody expected such a breakthrough. Each year this percentage increases. Last year these competitions stopped, because the computer exceeded the level of a person, stepping over 99%. This breakthrough has opened up many new opportunities. The variety of unreal technologies has developed. When a breakthrough is happening, the opportunities grow exponentially and at a tremendous rate. You may ask, what does retail trade got to do with it and how is it possible to apply AI here? Amazon three years ago held competitions with robots that rearrange cargo. A person rearranges things easily and intuitively without hesitation. A computer currently cannot quickly displace things. In Amazon a prize was created for those universities in the world who will teach the computer to shift things. Now the computer already knows how to shift things from one box to another, but very slowly. This year the company has already installed in its warehouses the machines that replace people, that can rearrange whole pallets with goods. All the modern developments indicate that we are trying to teach machines to distinguish the surrounding reality. Today we can use these technologies and make a profit. For example, when we sell something, we must sell the usefulness of things. Modern online stores in Ukraine and around the world do not show products in operation. But effective advertising of goods should be dynamic and demonstrate how the goods are used. In order for a person to be able to click, evaluate the potential purchase, and we could make money on this. Here at SoftCube we came up with a solution to this problem. And we know how to generate video automatically. One day robots will replace merchandisers in stores, and we, with the help of neural networks, can already replace people who are engaged in video production ". "Today we will demonstrate a project that was implemented in conjunction with a restaurant chain MAFIA. I will show three phases: what it was, what has been implemented and where we are heading to. The company was faced with the task of automatisation of the couriers accounting systems; for a number of reasons the current solution did not suit them and did not allow them to develop. A functionality was required that could control this process as much as possible and narrow down the scope of human influence. In addition, it was important that the product was as close to the client as possible. The whole project is divided into parts. The first part is the courier workplace, implemented by using a chatbot as a front-end. The received solution has combined the maximum of operations such as the receipt of an order, delivery, getting a customer into the delivery area, etc. The order does not extend to the courier until he is registered in the restaurant operating area. Thus, a model that allows you to automatically assign orders only to real players is implemented. So why chatbot? Because it is simple from the point of view of integration and development. What affects the cost and training. IT experts will confirm: if you have ever developed a mobile application, you will be developing it constantly. When developing the application, you may face such circumstance - you do not know with what kind of device the courier will come to you. Nor on what operating system does his Smartphone works? What is the version of this OS? We took a different path. All the functionality was installed into Telegram's messenger, because it's reliable, safe and stable. Another positive thing is when changing anything in the process, the couriers do not need to update the application; by using this approach, any change automatically becomes available instantly to all couriers. In addition to everything else the input and output of the process are fixed. At the beginning of the working day the courier records where he was located and when he entered the game. This is an important time for the timetabling and understanding that the courier is available and you can assign an order to him. At the end of the working day the system captures the closure of the working process and does not assign orders to the courier any more. The second implemented part of the project is the payment of the order on the spot, which is made with the help of the courier's mobile phone and the mobile acquiring service PayLastic. This stage allowed to abandon the terminals and accept payment for the delivered order directly in the courier's smartphone. The third, and the most important part, is the fully automated logic of managing the delivery process and minimizing human influence. "Under the hood" of the service there is a lot of mathematics, logic and statistics, which in real time collects process markers and influences the course of events such as the state of the kitchen, the line of orders, the remoteness of couriers, traffic load, order composition and much more. All of this allows not only to optimize the process and make it more manageable, but to build current activity, based on the company's top priority strategy at a given time ". "Our company has just turned 7 years, but we are still working in the startup mode. Most startups are dying, without revealing their potential. The key to our success is simple enough - we create a product that people really need. The main investor of our business is a client. We listen carefully to his needs and try to meet expectations. For me the work in startup mode is like working out and keeping yourself in a good shape. You must take 100% responsibility for your business. There are no magic diet pills. And in order to make money, as in sports, you need to keep a diet and build up muscles. In business you must get rid of all unnecessary expenses and build up the incomings. Our task is to provide our customers with fresh products from their favorite supermarkets with delivery to the door. Also for our retail-partners we provide SaaS-services (access to the software as a service) to support the work of the online store, as well as to organize the entire operation process directly. When we undertake the entire process of assembling, short-term storage and delivery of orders, the retailer can go online without investing in an infrastructure that is expensive enough. As for our business, the main challenges are low marginality, complex logistics processes, the need to comply with all temperature regimes and the demanding customers who are accustomed to choose their own products in a supermarket and are reluctant to transfer this function to a stranger. The main expenditures for us are logistical costs. To reduce them, we use advanced approaches in predicting and investigating operations, including MachineLearning. We also strive to be socially responsible. For example, we have launched an additional service: helping clients to recycle plastic bottles. By giving the bottle to our courier, the customer receives the promotional code with a discount for the next delivery. This option became so popular that we decided to introduce it on a permanent basis. We regularly test new solutions. For example, citizens of some districts of Kyiv can already order express delivery: we promise that the goods will be at the client's home within two hours after ordering on website. If we do not fit into this period of time, then we will return the money for delivery. Yes, this is a complicated business, by just achieving success is not enough - you need to work to the highest standard day after day, because many people delegate some of the care of their family to us. A high percentage of happy customers is our top KPI. Efficiency in our case is not a petty economy, but a result-oriented approach and technology that helps to achieve it ". «As of today the restaurant chain has a broad technical base: a scalable call center, which can connect up to hundreds of operators during peak hours, a website and an interesting project with Team 301 that has already demonstrated you the chatbot. 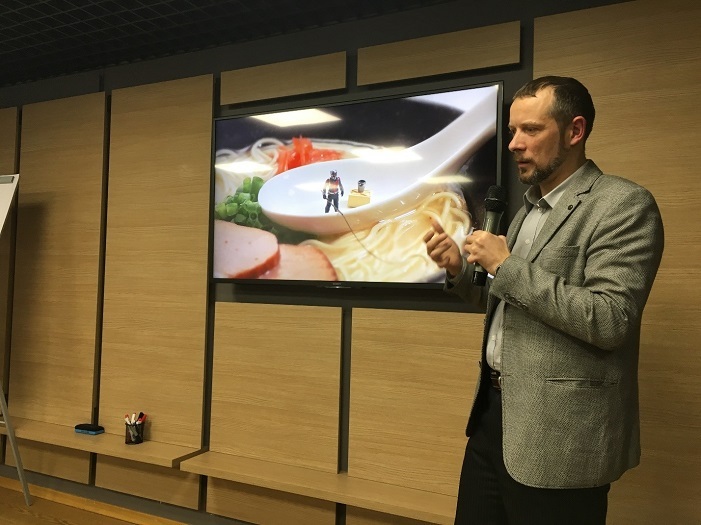 Since our event is called "Startup Nation: Trends and Themes for IT Projects in Ukraine and the World", I want to talk about how much technology has penetrated the restaurant business, and how much more space there is for further development. There is a certain ecosystem of services that live and are able to live in a restaurant. They say that in offline we do not know our guests. Indeed, we do not know, but we want to know them, and we do everything for this. For example, we are introducing a loyalty program. It is no secret that every guest is aimed to be given a card in order to get to know him better. When receiving data about the client and his preferences, our task is to store them, process them, and here is when we turn back to bigdata. Now we process the data of our guests by ourselves. But here is an opportunity for startups, for any company that wants to go deep into these operations of processing data and generating profits from them. With the help of a loyalty system, we try to entice regular guests, though it certainly does not work to attract new ones. We tried several startups. I will tell you about one of them. Rather interesting system. You need to install a free Wi-Fi in the restaurant by default for a guest with minimal traffic. When he tries to use a more powerful Internet, he gets sms with the text: "Enough speed - you may use. Not enough - receive a code. "In my opinion, this is unobtrusive. Free Internet is already there, but not at high speed. If you want more comfort - we will give it in exchange for a phone number. How does this help the restaurant to know the customer better? When a family comes to a restaurant, at the best we know one phone number of the three visitors. Because one of the three has a loyalty card. At the same time, all of the three use the Internet. Such a system makes it possible to learn better each guest. When the family comes the next time you can understand what to offer each guest by age and culinary preferences. Such a tool is a good option for restaurants. With the help of technology and techno startups learn more about the customers and work with them ".